Download 10 pre-application steps you can take with your student this summer. What will you and your high school junior or senior be doing this summer? Smart families will be getting a head start on the college admissions process. A well-laid-out game plan means less stress now and smooth sailing later on. Even better: it can also help steer clear of parent/child friction that can accompany the road to college. Hear from College Coach experts — all former senior admissions officers — about ten steps you and your student can take together this summer to get ahead of the game and stay on track for admissions success. Parents: Complete the form on the right to download your free copy now. Looking for additional support? 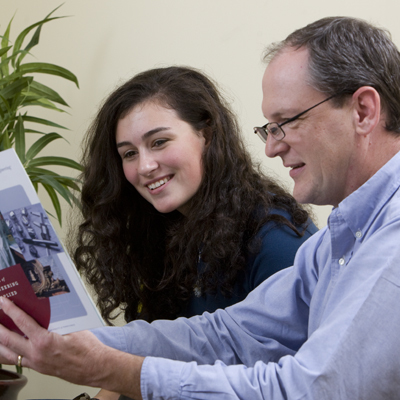 College Coach experts can provide private advising services and individualized guidance. Alleviate family stress by hiring one of our experts to give your child comprehensive assistance with every step of the admissions process. Our customized service approach can include a personalized college list, essay assistance, interview preparation, high school academic and extracurricular planning, and more. Success starts here. Parents are invited to contact us today to learn more about our advising services. If you are a high school student, please visit this free resources page.